When the game started I was already scared, eventhough nothing had happened yet. 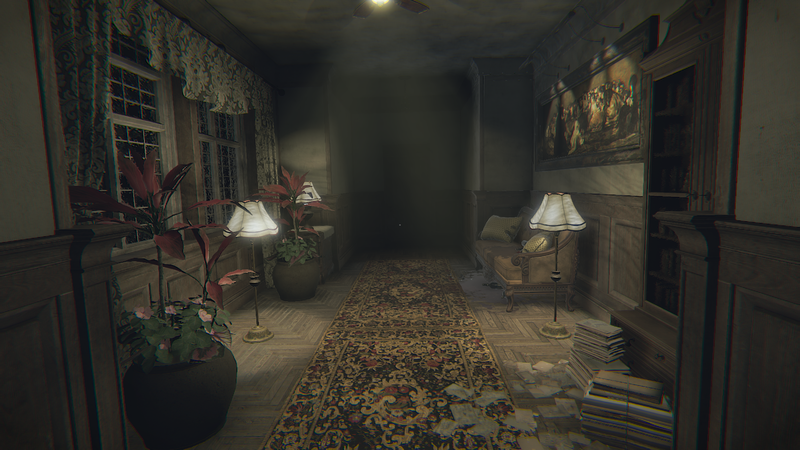 It was the atmosphere, dark and gloomy house and first person perspective!! Layers Of Fear is from studio, Bloober Team, that are behind video game Observer that I recently played through and review of it is coming shortly. 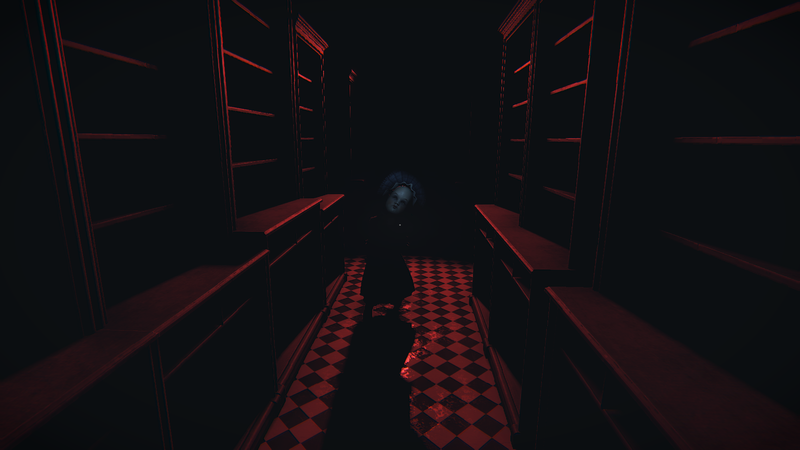 After playing Layers Of Fear I still kinda don’t know the whole plot of it. As far as I understood it’s about a artist’s block, psychosis, alcoholism, fear and paranoia. A man, who is a painter, locked himself in a house after his family left him because he was alcoholic and always painting. The story seem to be an artist’s psychotic mind and how he wants create a masterpiece no matter what the cost is. The story is told by visions the man sees and letters and photos you need to collect. The story was intriguing but still it left many questions in my head. I didn’t play Layers Of Fear 100% and I think if I would I’ll have answers to my questions. 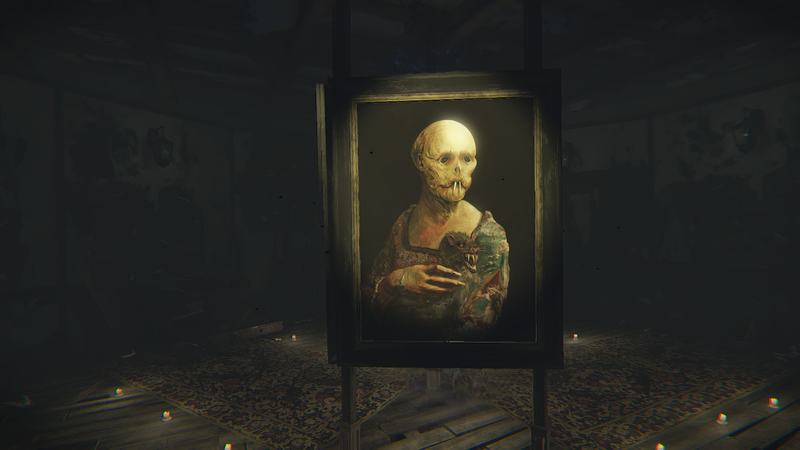 Layers Of Fear is partly walkthrough simulation-ish since there isn’t any fighting or health system. Only thing you can do is interact with environment and collect photos/letters and keys that opens locked doors. If you like psychedelic, dark, not-sure-where-to-go, or ever changing rooms and places as you turn around, this game is definitely for you. All the places changes mostly everytime you turn around and sometimes many times in a row. Or you watch something closely and suddenly you are some other place. All this is to confuse you and making clear that the character you are playing is nuts. Controls felt good except the opening of the drawers and doors and pushing things. There is no crouch move so you have to meticulously aim your tiny little pointer to the right pixel and then open the drawer. There are many doors and little cabinets with many drawers and it is super difficult to open them. Even the way it’s to be opened is by pressing one button and moving with right stick. This is the most horrible way to open things in first person games because if you miss a little bit you won’t be opening the drawer, instead you move away from it and had to do everything all over again. And when moving things the camera is still moving with you as you pull/push and it makes everything even more awkward. 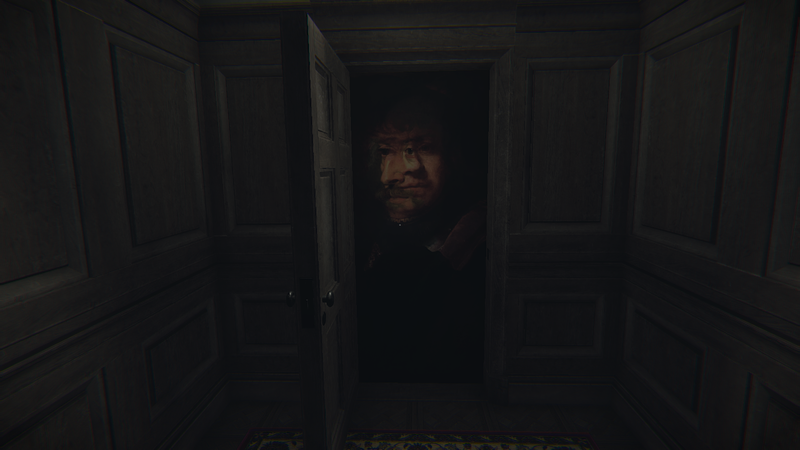 I know this is nitpicking but Layers Of Fear is 70% opening drawers and doors and collecting things. The very first thing I noticed was how beautiful the game was and very detail oriented. Even the wallpaper is super detailed and not any pixel mush as I would’ve expected. I always pin my eyes on these kind of things since it bothers me if everything else than background is high end. I also liked the ‘film/movie’ effect that is in the newest Spider-Man game, too. It makes the edges of the screen go little blur and the colours are just little bit off center and distorted. I didn’t play Layers Of Fear with headphones since I think there is something wrong with them (the sound chops all the time), and I was too scared. I used external speaker and I think it worked just fine. I’m sure I would’ve screamed if playing with headphones since I got sceared even without them. I liked all the weird spooky noises and whispers here and there. Only difficulty have to be the idea of where to go next. Usually the way was kinda straight line but sometimes there was many doors and I mostly if you go somewhere you can’t go back because when turning around you might find yourself in the cellar all of a sudden. Sometimes I was stuck in a loop and I had to figure way out and I think those were my favourite parts. One thing was not clear to me though; there was a ghost, at times, after me and it got me couple of times. I’m not sure did I die or what happened but it seemed like I died and found myself some mysterious place, or it might’ve been according to the gameplay plan. It was hard to tell. Half way of the playthrough Layers Of Fear started to feel repetitive and I didn’t got scared anymore of sudden noises or jump scares (which this is full and I don’t like it.) It was just going through some place and collecting things and then the game was over.